The tree is form-fitted and the 17" seat is padded Buffalo. 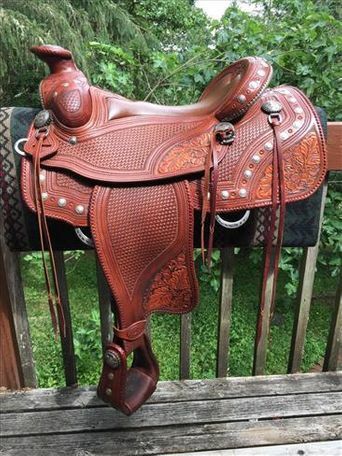 The skirt is 28", fenders are large and the cantle is a 4.5" Cheyenne roll with a logo stamped "Kickback Corral". It was made to fit a 6 foot tall, 200lb rider. 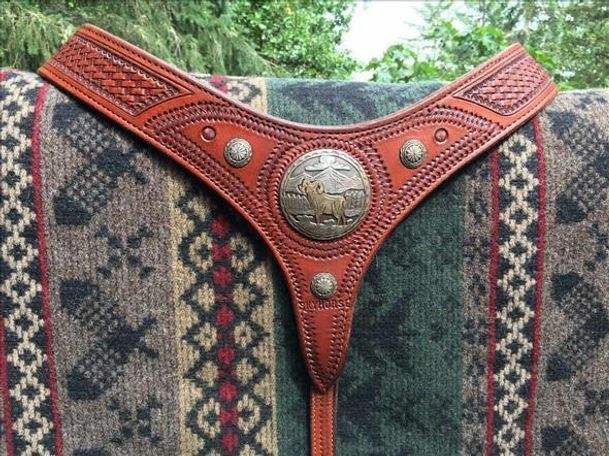 There is custom silver braiding as well as Kangaroo leather braiding throughout, including the 3.5" wide x 2.5" tall horn. The Conchos are sterling silver and are handmade by a group of Navajo artisans in the Storyteller style with individual depictions of large North American mammals. 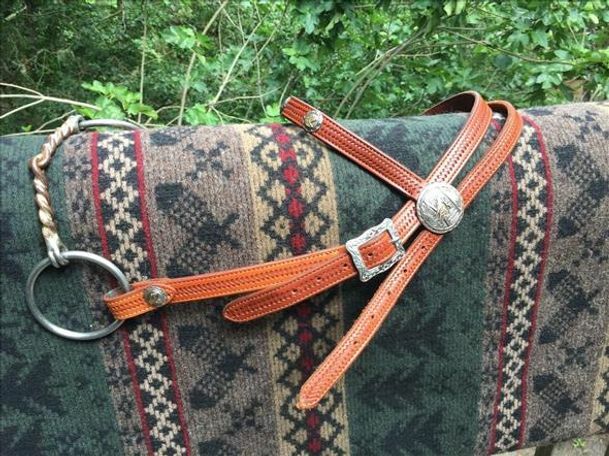 There are over 70 Conchos in this rare find and we are told they are no longer available. 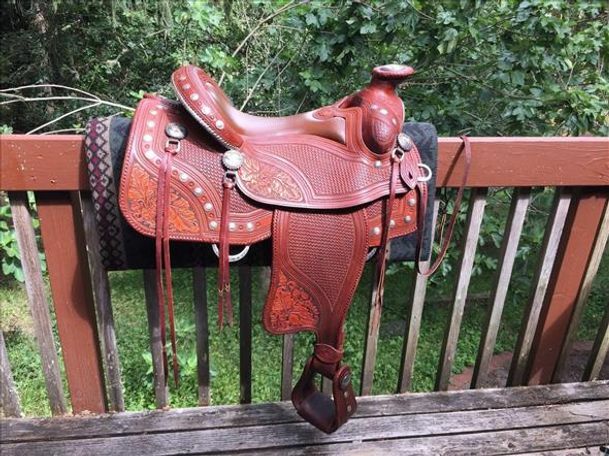 The saddle and tack are in very fine condition overall with little evidence of extended use. There are no tears, cuts or significant scratches. The hardware is solid. 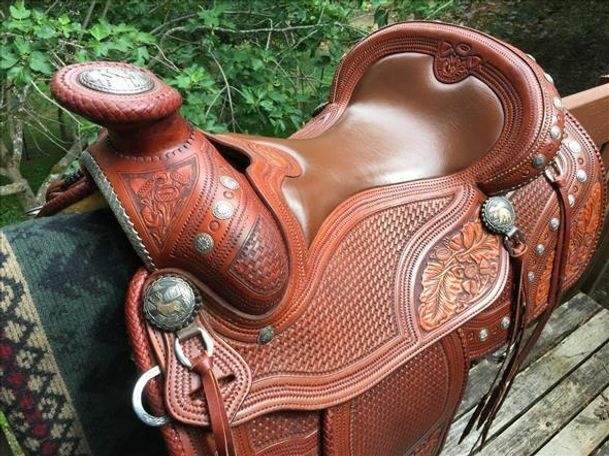 The leather appears clean, well-maintained and supple. The fleece underlining is without loss or stains.